I knew when Modern Family became popular, I would be asked to use my platform to share with people different campaigns and causes. I also knew that nothing has been more challenging, or rewarding, than being a caregiver and a source of love and support for my mother in her battle against cancer. Mom is a two-time survivor, only to be outnumbered by my grandmother, who survived cancer three times. Both of my grandfathers and my favorite uncle weren’t so fortuitous in their fight against the disease. Cancer has been all too close to my loved ones. So, supporting cancer research is at my core. Initially, I didn’t know what to do when my mom was diagnosed. Like so many people out there, my family felt completely overwhelmed by all the immediate decisions that needed to be made, and on top of all that, we didn’t know anything about cancer research. This made conversations about our options even more difficult. So throughout her battle, I did what I do best and what she loves the most – I made her laugh. And of course, I lent my devotion and encouragement, but I couldn’t do it alone. The emotional support provided by friends, extended family and others was critical in giving strength to my mom, me and the rest of the family. I think the 15 million other American people who are facing a cancer diagnosis know this all too well – it takes a community to fight cancer. When I learned this necessary aspect of caregiving, I decided to devote my time to spreading the word about cancer research. That’s why I lend my voice and my platform to Ready. Raise. Rise, a campaign sponsored by Bristol-Myers Squibb. With this campaign, we aim to rally Americans to learn about immuno-oncology research, and take action in the fight against cancer by showing their support for the cancer community and helping to raise money for cancer research and advocacy programs. Think about it – cancer is a very bad word, but advancements are happening. For example, immuno-oncology research seeks to harness the body’s own immune system to fight cancer, and has the potential to improve survival and quality of life. Needless to say, advancements like these are important. Being a thoughtful caregiver is understanding that you can’t do it alone. Join me. Be present. Go to www.readyraiserise.com to raise a virtual flag on behalf of a loved one touched by cancer, and help us support participating advocacy groups that are working hard every day for people touched by this disease. It takes a community to fight cancer. Let’s fight it together. 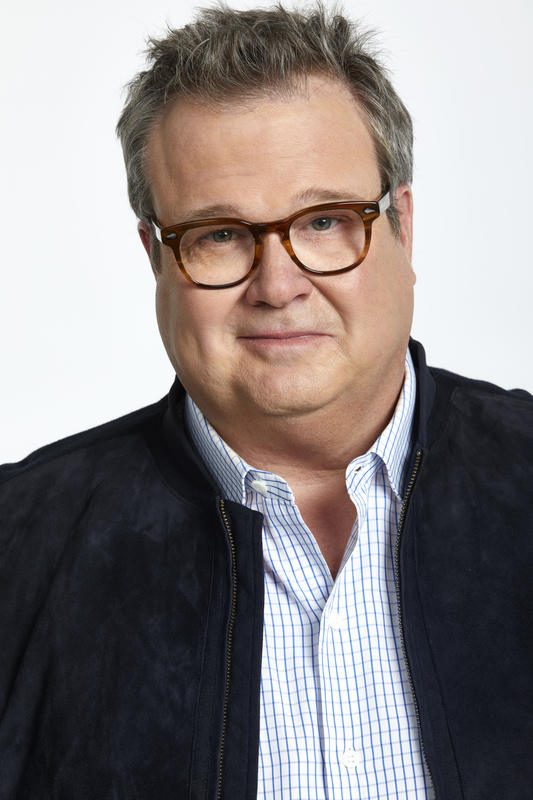 Eric Stonestreet an actor and comedian, best known for portraying Cameron Tucker in the ABC mockumentary sitcom Modern Family, for which he received two Emmy Awards for Outstanding Supporting Actor in a Comedy Series out of three nominations. He is also an advocate for cancer research and a spokesperson for the Ready. Raise. Rise. campaign.